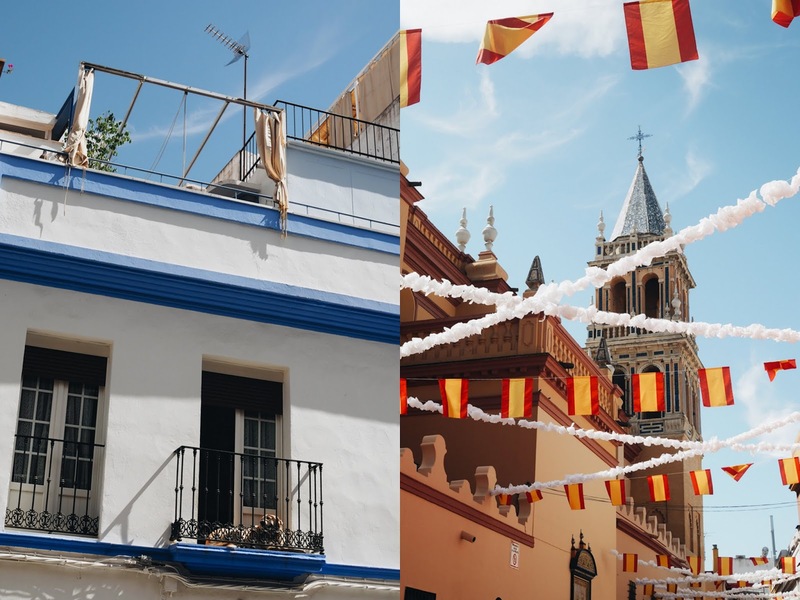 A few years ago I spent a couple of days travelling by myself around Andalusia (Seville, Cordóba and Granada) and fell in love with this region of Southern Spain. 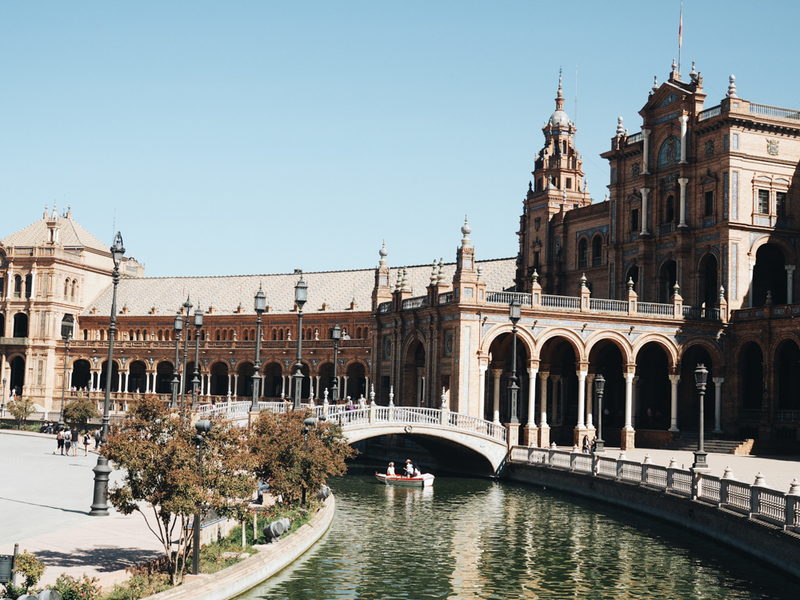 So when Mr. FFID and I were invited to a wedding outside Malaga I planned the trip making sure we had a few extra days in Seville before the celebrations as I really wanted Mr. FFID to see what the city was like. It can get incredibly hot during the summer months over there but visiting in September was perfect. The sky was blue every day, it was very warm without being unbearable and it was not too crowded with tourists. 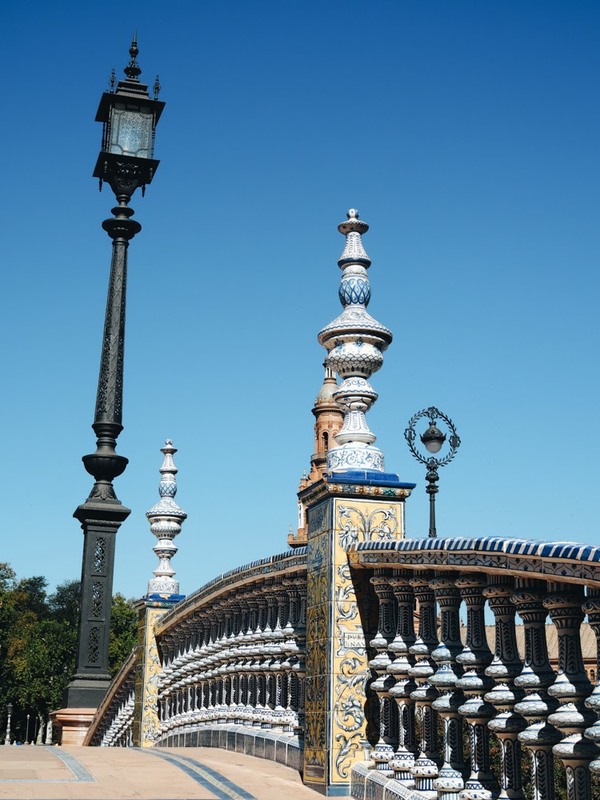 Seville is a great city, small, easy to get around and it felt very safe at any time of the day, even when coming back to our apartment in the evenings. 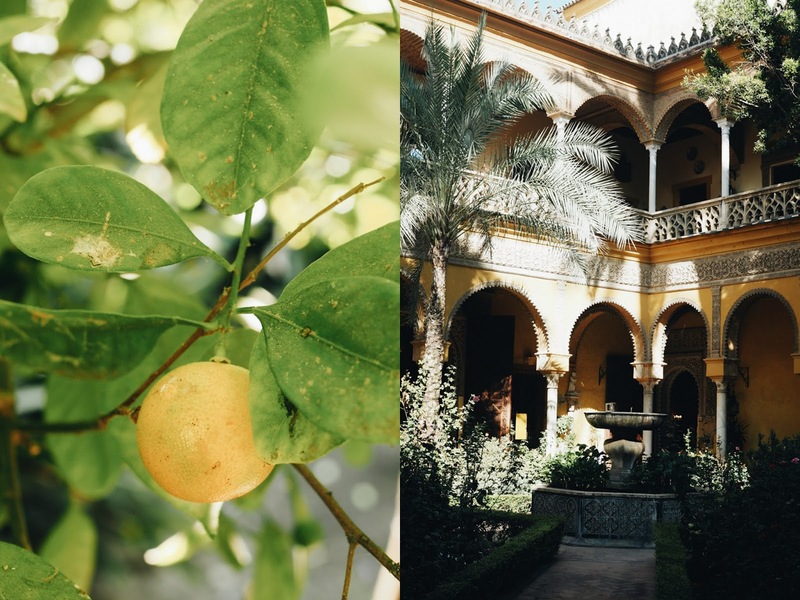 I wanted to visit Seville more for its cultural heritage but it just so happened that I also made some wonderful food and drink discoveries during my trip so I'm sharing them here, naturally. 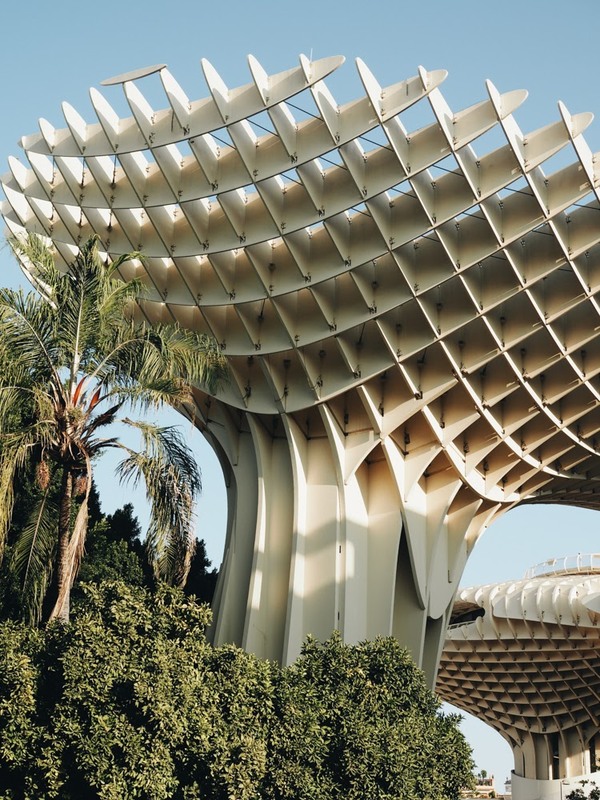 This is Seville's number one attraction, make sure to arrive early to avoid a long queue if you're visiting during the tourist season. 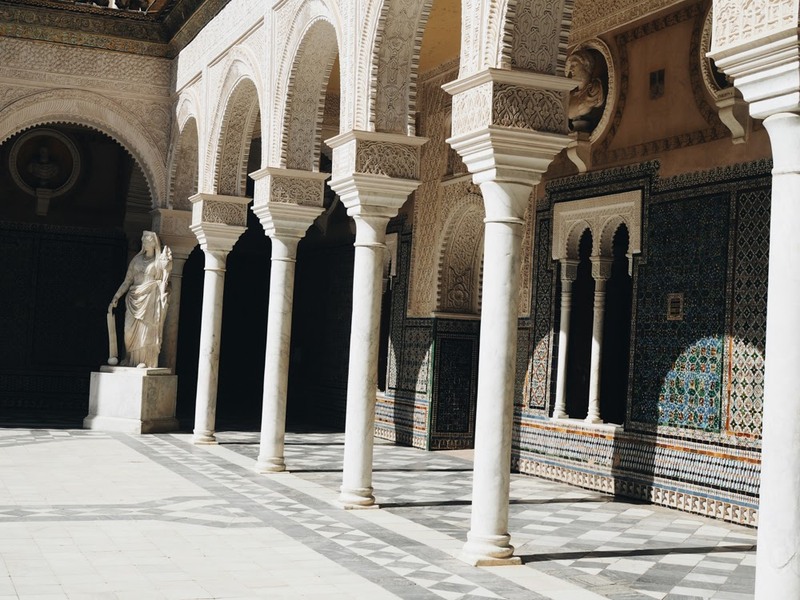 This royal palace was originally a Moorish fort in the 11th century and combines a mix of architecture from different periods from the Middle Ages to the Renaissance period. The Alcazar is listed as a UNESCO world heritage site and has been used in the filming of Game of Thrones if that's your thing. 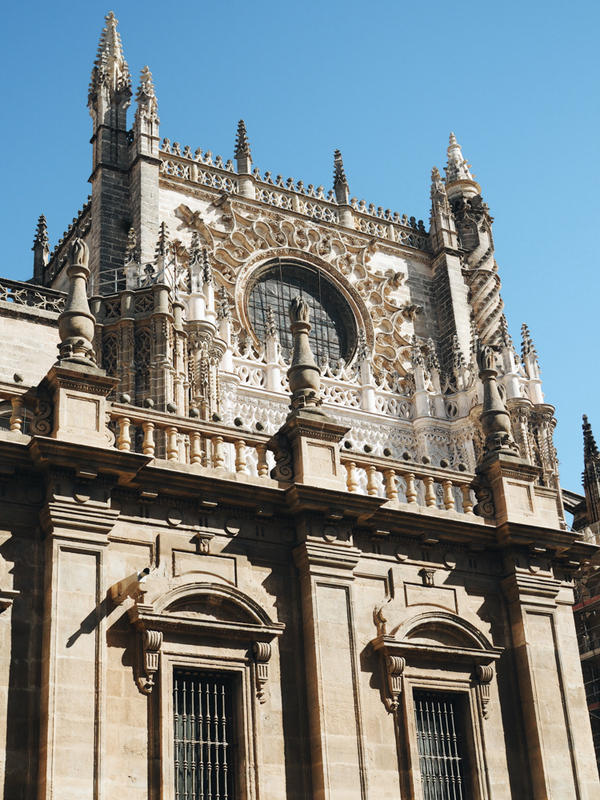 Right in the middle of the old town stands Seville Cathedral, the 3rd largest cathedral in the world. Built in the 15th century, it has some of the finest gothic architecture features and it's also a UNESCO World Heritage site. Built in 1928 for the Iberico-American exhibition, it is a beautiful red brick building with a tower facing little canals with bridges. 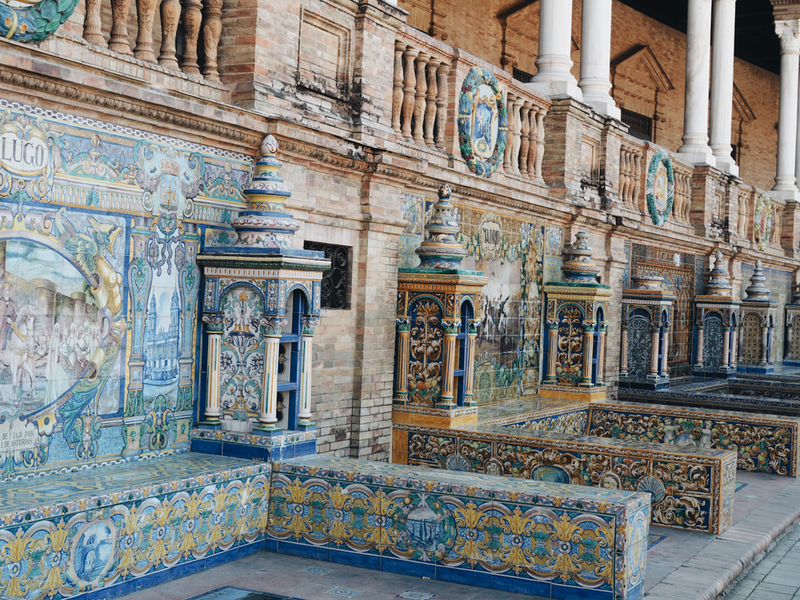 There are little alcoves with benches that represent each province of Spain. I loved this place because it was so peaceful compared to some of the other sites. 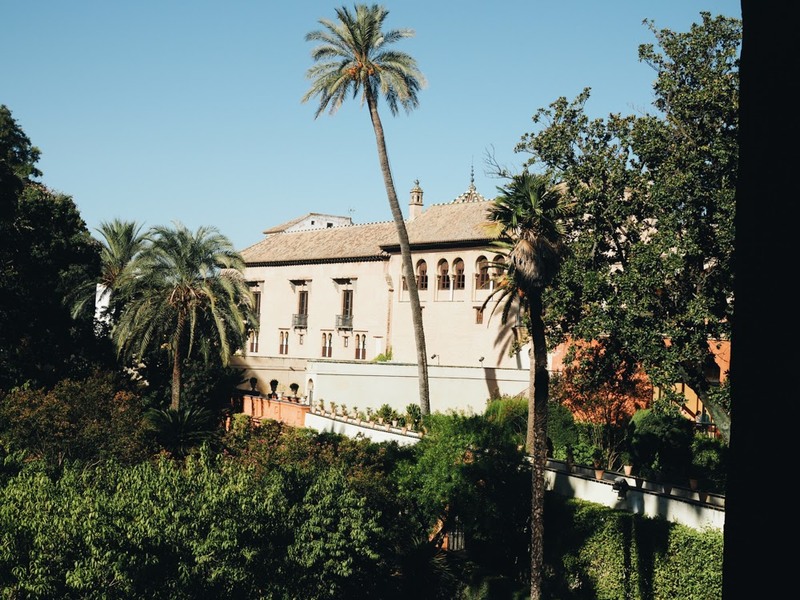 It's a civil palace with a mix of Italian Renaissance, Spanish Mudéjar architecture and stunning gardens. My favourite place to visit, built between the 15th century and 16th century it's another great example of Renaissance architecture with Moorish influences. 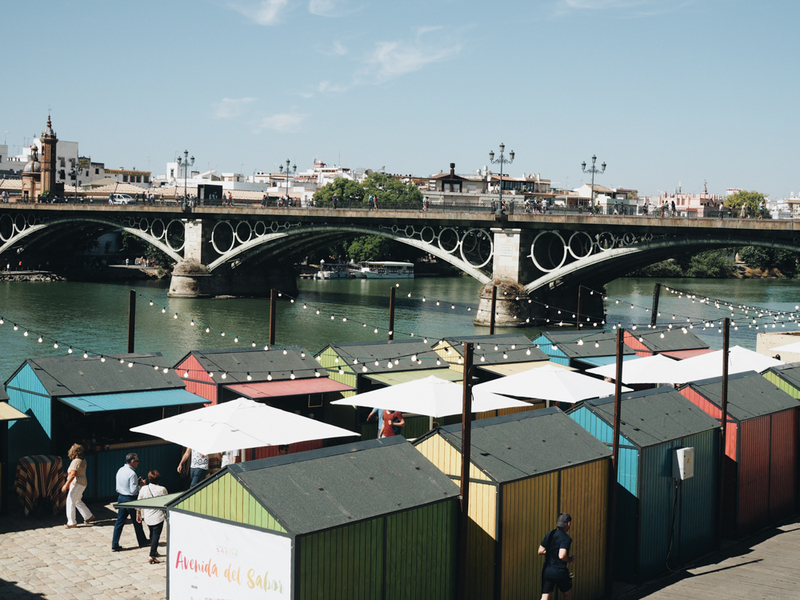 Make sure to walk around the district of Triana, a neighbourhood which was famous for bull fighters, flamenco and ceramic shops. The narrow streets in this area are very picturesque and at the weekend it's full of locals just hanging around. This modern architectural structure was new to me as it was built after my first visit of Seville. This new square hosts the largest wooden structure in the world. From the top you can access the 'mirador' to enjoy great views over the city. 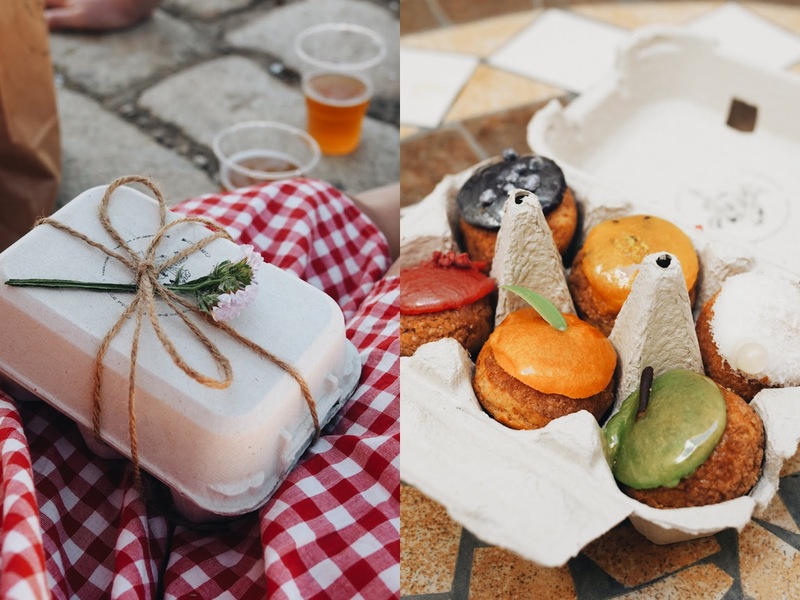 On our first day we stumbled upon a brilliant mini food festival by the river which showcased some producers and restaurants from the region. 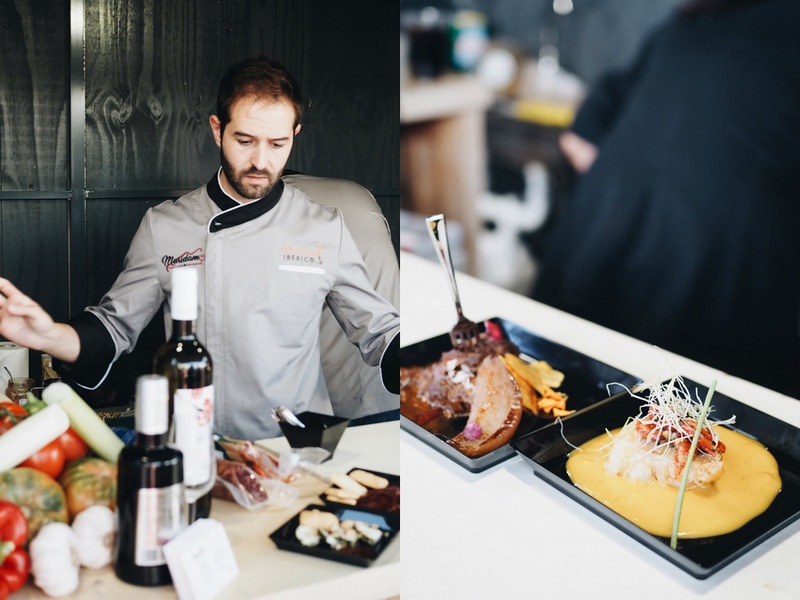 It happened to be a mini launch for Andalucía Sabor, a fine food exhibition that takes place every year in September. You might want to check it out if you're visiting at this time of the year. 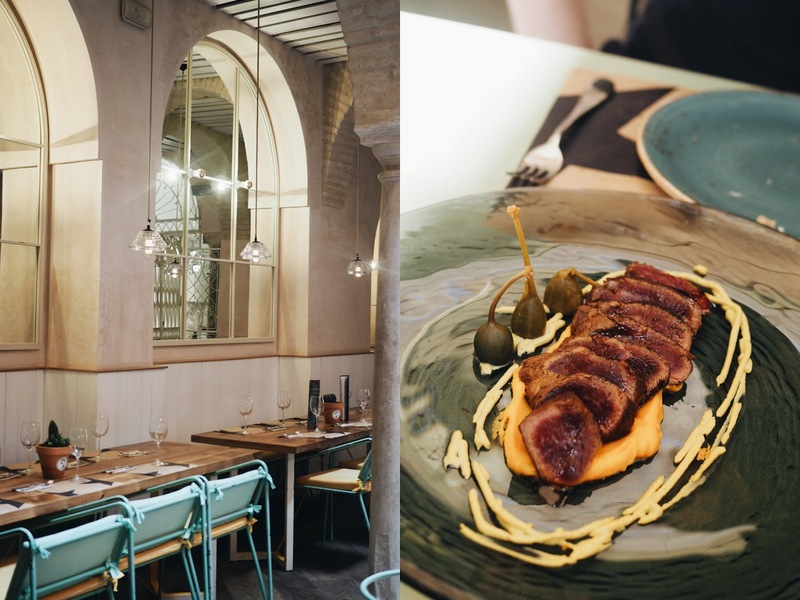 My favourite find in Seville, El Pinto is first of all a beautifully designed restaurant and an Instagram dream. However this isn't all about the look, the food is very good too. We liked it so much that we visited three times in two days. Not every dish was amazing but I can totally endorse their sangria, especially the white one. Also their 'pork tataki', an incredible dish of presa Iberica is one of the most flavoursome pieces of meat I've ever tasted. A cool looking place attached to a hotel that seemed to be popular considering we had to queue for a while. 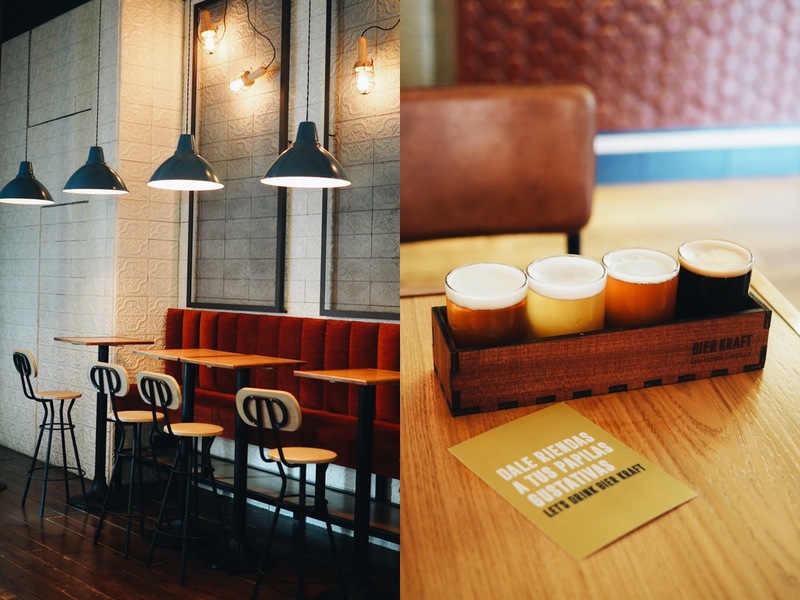 They had craft beer and the interiors were cool. We ordered a few nibbles which did the job. A nice place for a drink but the food isn't as good as El Pinton. It's great to visit some institutions too and El Rinconcillo is an absolute must. 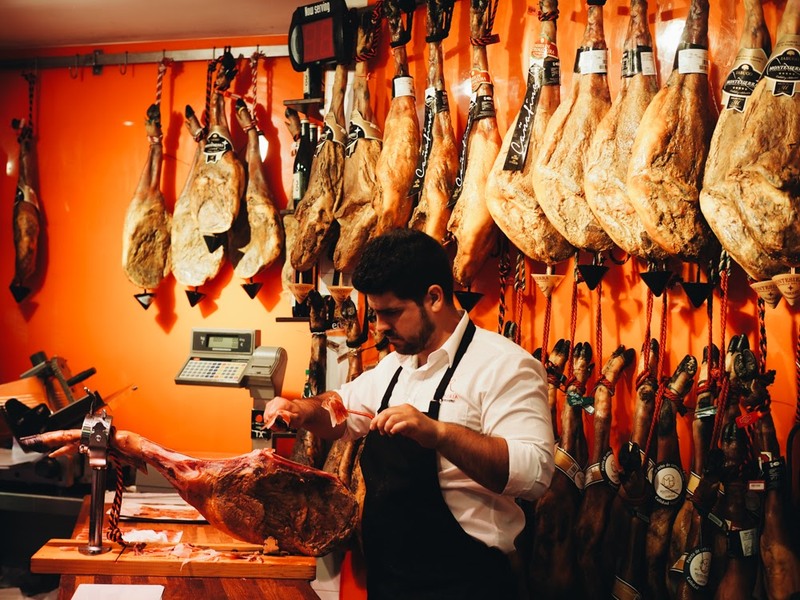 It's one of the oldest tapas bars in Seville and was funded in 1670. 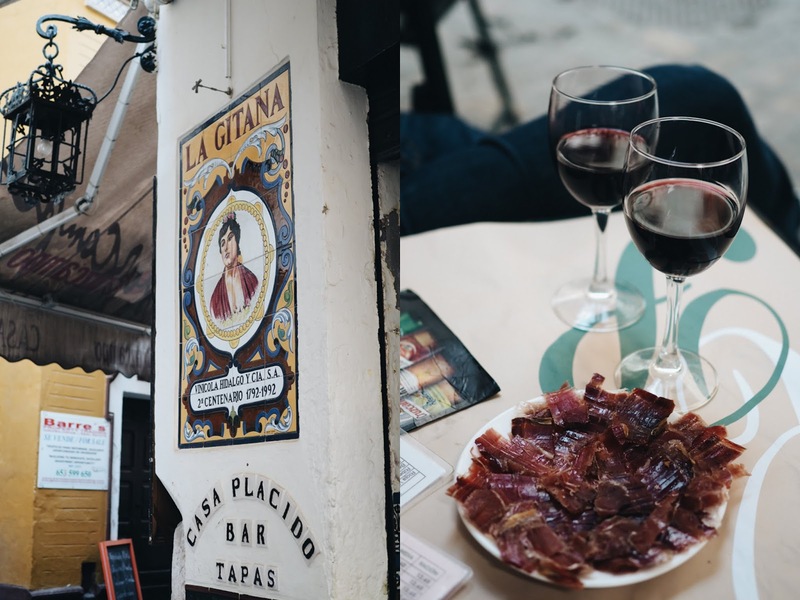 The food isn't amazing (very simple tapas) and it's filled with tourists but the atmosphere is brilliant and you need to visit this place at least once. I forgot to take pictures though. Another traditional tapas place, Casa Plácido is quite similar to El Rinconcillo. Very atmospheric inside and they also have small tapas outside. Triana Market is a covered market in the district of Triana. We bought many wonderful products there from the different vendors. 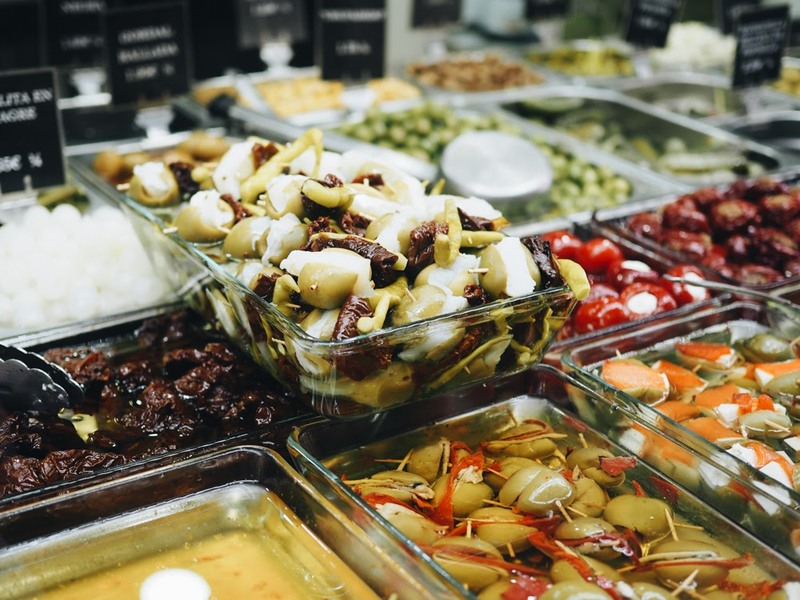 It's not touristy, you'll see locals doing their food shopping and there is plenty of cured meats, cheese, vegetables and fruits to be bought. Beware, the opening hours online and outside the market aren't accurate and from what I can tell are a bit random. 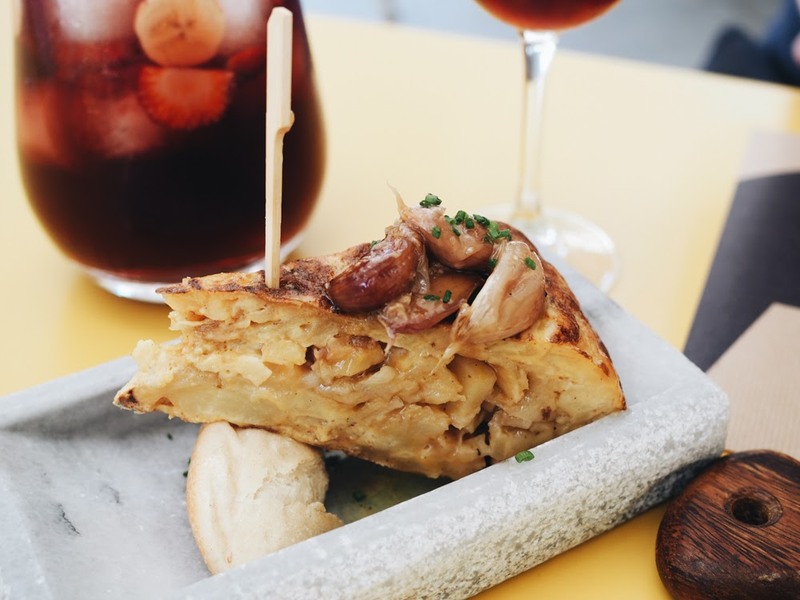 A visit to Triana market isn't complete without a little stop at Bocasú. 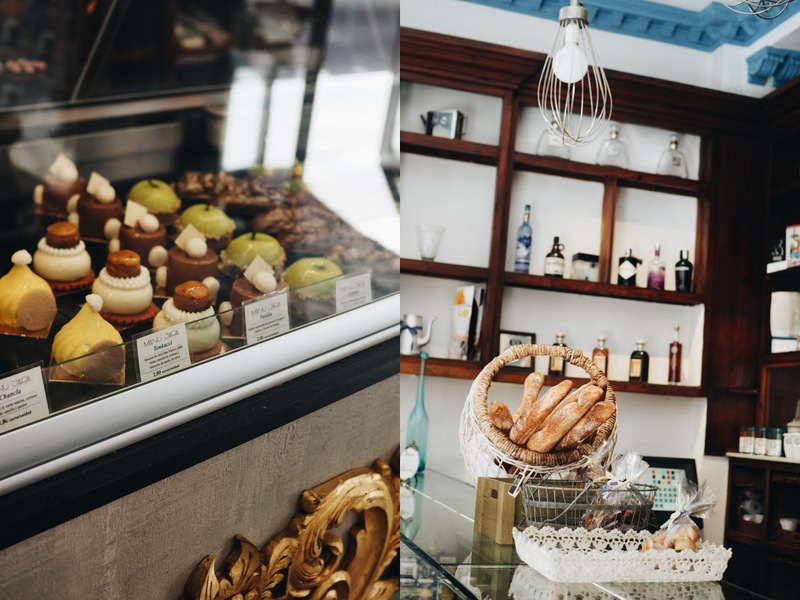 They specialise in little choux pastries and have a large selection with many different flavours, from orange to violet and chocolate to piña colada. I visited a few times and I'd recommend it in a heart beat! Bocasú is actually run by the guys behind Manu Jara pastry shops. 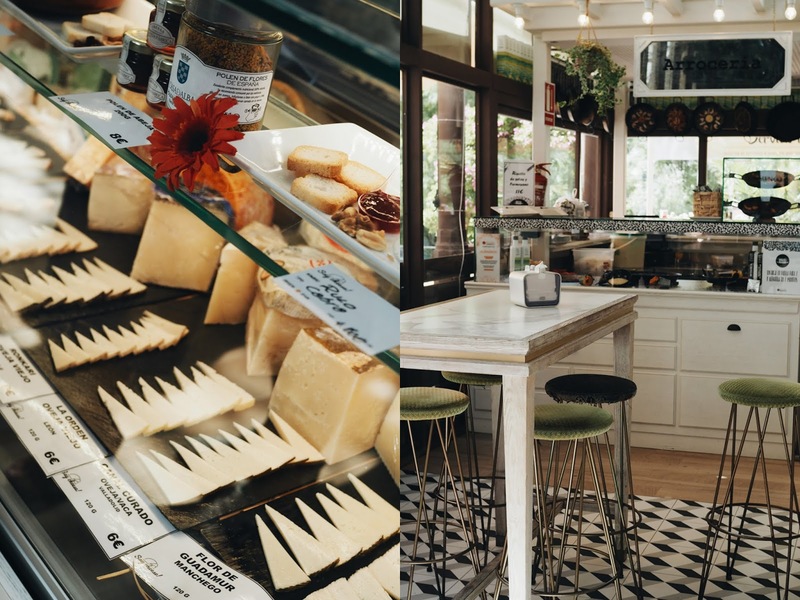 I really liked their branch in Triana because it was the only place where we found decent bread in the city and they had lovely pastries and homemade ice-creams. This is a very sleek looking food hall with food vendors and restaurants. From a design perspective it is really beautiful, two or three stalls looked like the food was very good but I'm not sure if they're all quality. Nonetheless a great place to see if you love food. 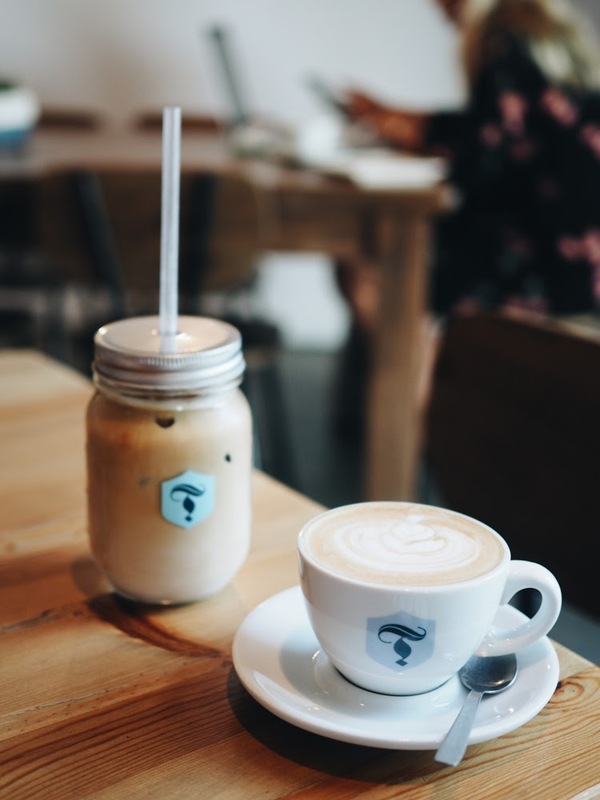 Torch Coffee Roasters have three locations around the world: in Raleigh (US), Pu'er in China and Seville in Spain. 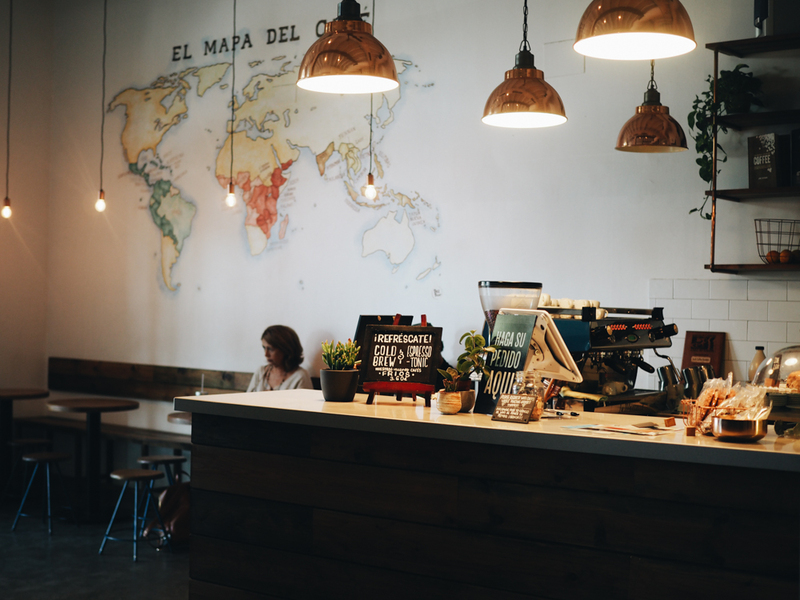 I only found two speciality coffee shops in Seville and this one is the biggest. It's bright and airy, they have communal tables and the coffee is much cheaper than in Ireland. This is definitely the tiniest coffee shop I've ever been to. 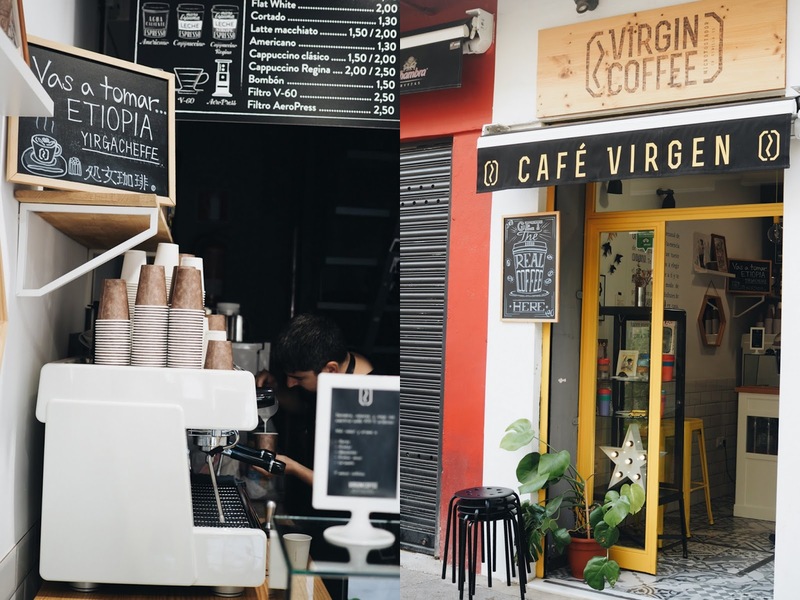 Virgin Coffee is a micro-roastery and another place where you can get a good caffeine fix in Seville. The only down side is that the opening hours are very limited, they don't open until 11am! Seville had more craft beer pubs that I had anticipated, and we tried quite a few of them. We found a craft beer map of the city in the first place we visited, which allowed us to find places that weren't originally on my itinerary. One thing to know when you come from Ireland is that most of them don't open until quite late. I'm so glad we found this place and wish I could have brought it back to Dublin with me. It only opened two months before we got there and it's quite an unusual look for a craft beer pub. Visually stunning it looked like the show room of a fancy interior design shop. There was a beautiful cosy sofa, a vintage arcade game and the staff were lovely. There was a good selection of beers on tap from Spain, Italy and other countries. 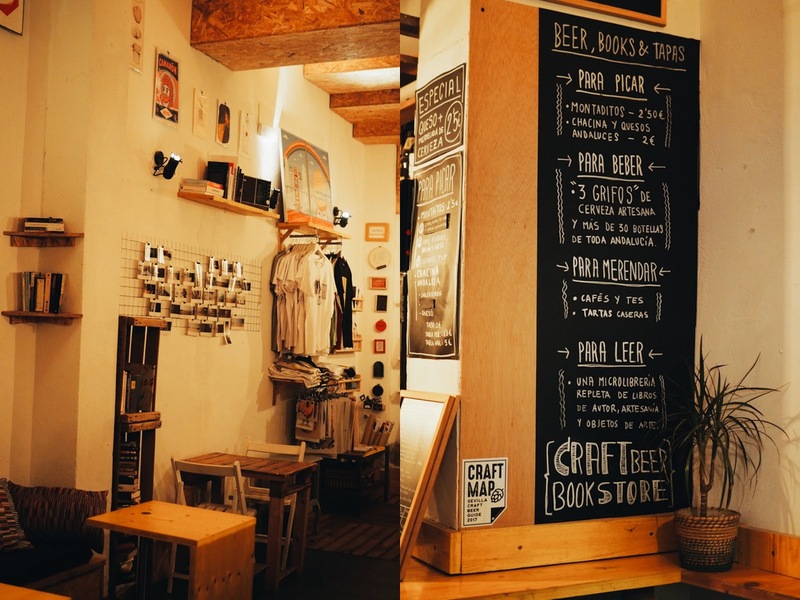 Another cool spot was La Jeronima, a craft beer pub and bookshop. 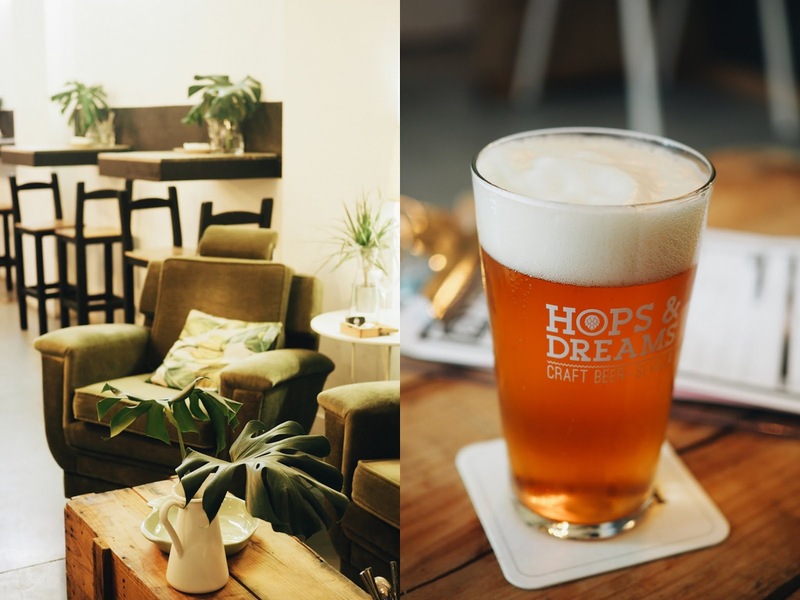 Laid back atmosphere and cosy setting, they had a very limited number of beers on tap but fortunately their bottle selection was quite varied. 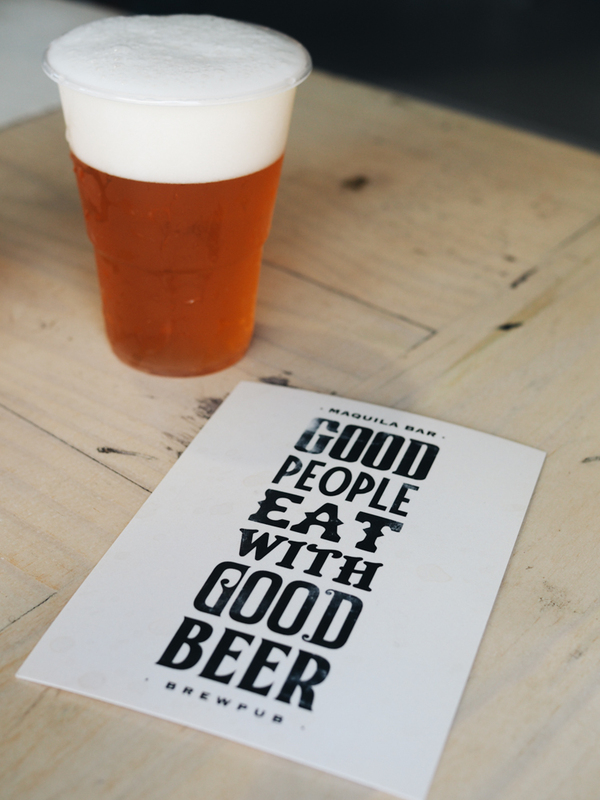 Maquila is the only craft beer pub in Seville with its own brewery that you can spot from inside the bar. They also serve food that I can't endorse having not tried it. Last but not least, Bier Kraft which was Mr. FFID's favourite and as he said 'looked more like a proper craft beer pub compared to the others'. A spacious pub with a about 8-10 taps and a huge selection of bottles. They also do a beer flight that was reasonably priced at €6. 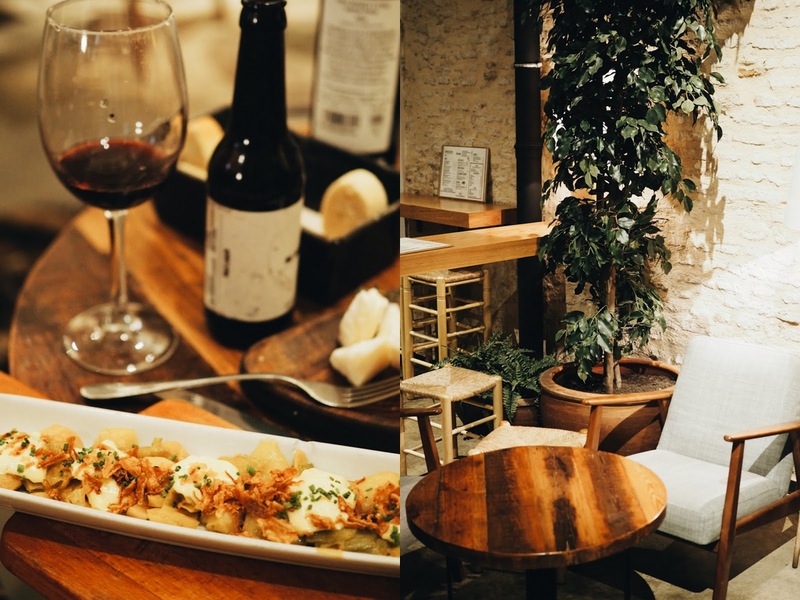 Another spot we discovered by chance, La Linterna serves craft beer and tapas. This place also looks like it was designed from Pinterest. So that's it for Seville, not only one of the prettiest cities in Europe but also great for people who enjoy their food and drink. I leave you with a little Google map which contains the locations of all the places I mentioned in this article. Disclaimer: This a totally independent blog post, I paid for all my food, drinks and everything else.